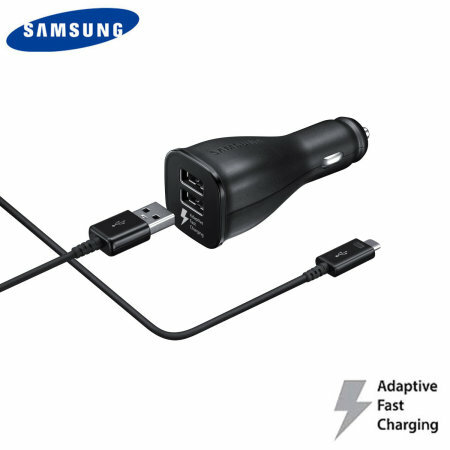 A genuine Samsung adaptive fast dual USB car charger and 1.5m USB-C charging cable for your Samsung Galaxy S9. Incredibly stylish and fast, this charger is a must have, thanks to its sleek design and super fast charging rates. Item arrived punctually, was as described, and performs well. Mobile charger for the car, works perfectly! Slightly bulky but sturdy. Works well. Great product just what I needed for the car and great delivery ??? ?